Wednesday 5th November 2014, 6:30 pm. Many organisations struggle to cross the “strategy chasm” between their business goals and their product pipelines. What should we do and how should we do it? How do we make sure that we don’t simply use Agile to deliver the wrong thing well? Business strategies are rarely anchored in any meaningful methodology, seldom driven by data and almost never testable until it is too late; becoming the dysfunctional child of highly-paid people’s opinions pursued with a strident bet-the-farm zeal belying true levels of risk. This is a path to ruin. But it is not the only path. It is possible to develop business strategies using a test-driven approach. Done well, this yields similar benefits to those we find in software: tight iterations, fast feedback, quality built in, early detection of problems, and progressive refactoring opportunities. Strategy should never be static and needs the feedback of real experience to improve and shape it. It is crucially important to underpin it with a meaningful mission, clear vision and quantifiable goals. Through a series of case studies, examples and simple practical tools, we explore how to develop effective business strategies through the application of test-first principles. For those who don’t get to set strategy in their organisation, we’ll also cover how approach the conversation with sceptical leaders. This is a useful and thought-provoking session for leaders, managers, developers and testers alike - even if you don’t have a role shaping strategy in your workplace you can have a role in seeding the mindset of change and shaping the thinking of those around you. Business strategy is too important to get wrong. 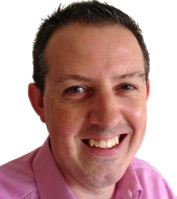 Tom Sedge is a freelance Management Consultant and Agile/Lean Coach. He’s on a mission to transform people’s working lives through simple principles and smart practices that turn slaves of the system into masters of their own work. He wants to create a world where people find work fun, rewarding, meaningful and satisfying. He founded The Ambitious Manager (http://www.ambitiousmanager.com) to provide insight, strategies, tools, advice and services to ambitious managers and leaders who are passionate about improvement, willing and able to take action and ready to start. Most of his time is spent in the “upstream” space, bridging the language gap between IT and the rest of the business. A lifelong techie, he still writes code every day.